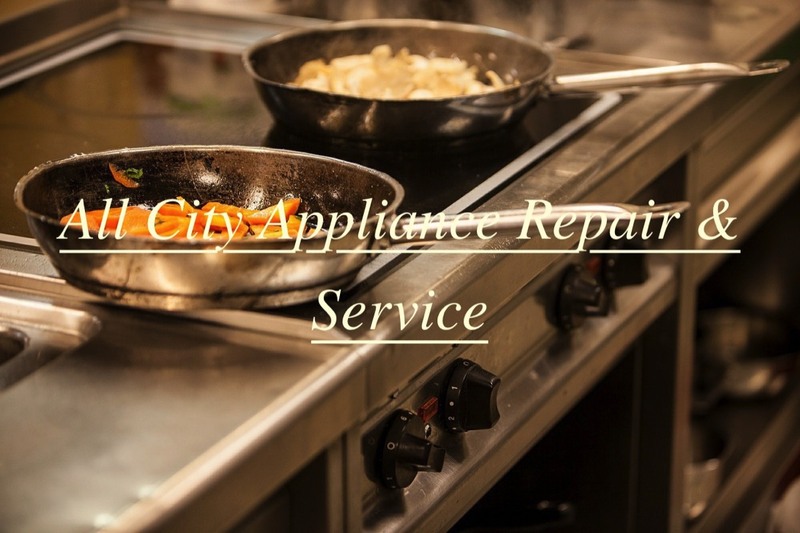 All City Appliance Repair specializes in all home appliance repair. We stay technically up to date on all the latest training advances. Our technicians are trained and licensed and we are fully licensed, bonded and insured. and will treat you with honesty and respect. All of our technician's go through a background check so you won't have to worry when they are in your home. We keep our prices low by keeping our overhead as low as possible. By practicing these policies we are able to pass these savings on to you, our customer. We depend on referrals and appreciate you telling others about our high quality, low cost . Gas Stoves and Ranges - when you have a stove that isn't cooking reliably or not at all and hungry folks waiting for food you know how important a stove or range is! 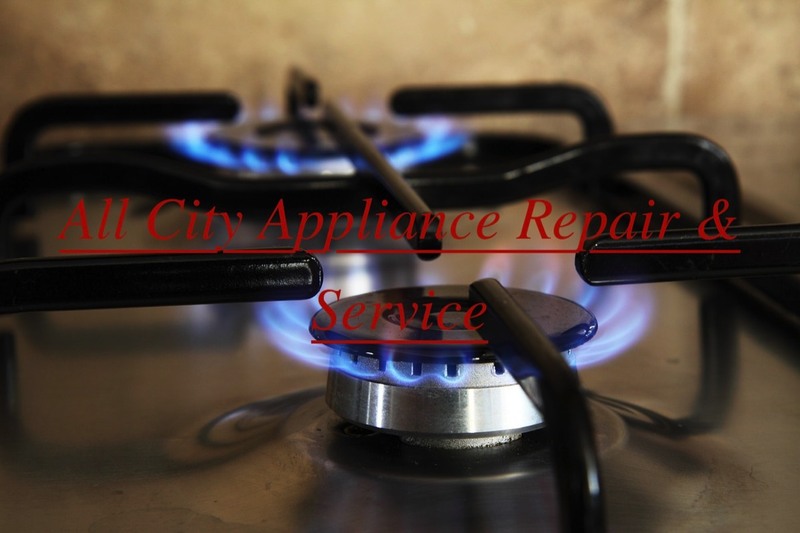 If your digital display isn't working or flashing an error reading, the burners aren't working properly or you smell gas give All City Appliance Repair a call. Refrigerators - an important appliance it provides a variety of services, keeping food cold and frozen, makes ice and has specialized food compartments. 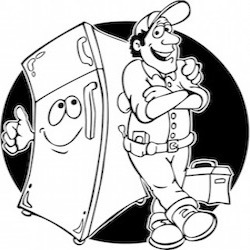 If your refrigerator is leaking, not keeping food cold enough or is noisy give All City Appliance Repair a call, we may be able to diagnose the issue over the phone. Ice Makers - no ice could possibly start a family war when it's hot. If you notice the ice isn't completely frozen or your ice maker is leaking, give All City Appliance Repair a call and let us restore family peace and harmony. Washers - broken washing machines never happen at a convenient time, and always when you need clean clothes! 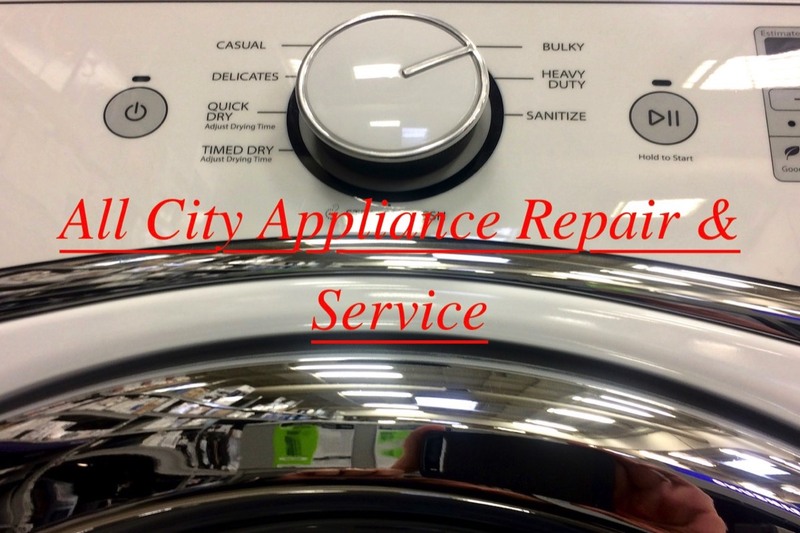 If your washer is leaving water on the floor, or failing to drain give All City Appliance Repair a call. We'll schedule a time to come out that's convenient for you and the service call is free with repairs. Dryers - you always find out a dryer isn't working when you have a wet load of clothes. With All City Appliance Repairs same day service, this doesn't have to mean a pile of smelly, wet clothes. Give us a call when this happens and we'll be right out. If your dryer squeaks or makes strange noises when you turn it on or if the air doesn't get hot or the clothing doesn't dry we can repair those issues as well before they become major.